After three years of dating, Greg sent Ali on a scavenger hunt to their favorite spots around the city. The town-car pulled up and Greg went to get her. 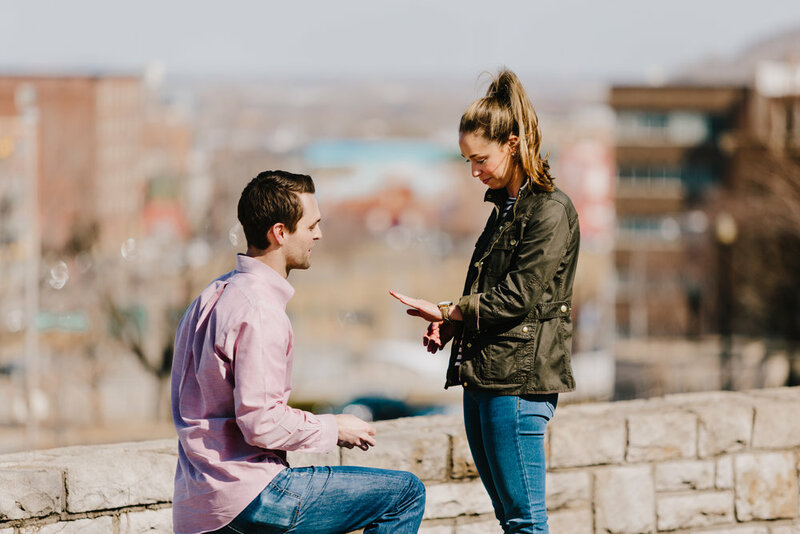 They walked out to the lookout point when Greg got down on a knee and asked Ali to marry him with a gorgeous solitaire ring from Shane Co. OF COURSE SHE SAID YES!!! 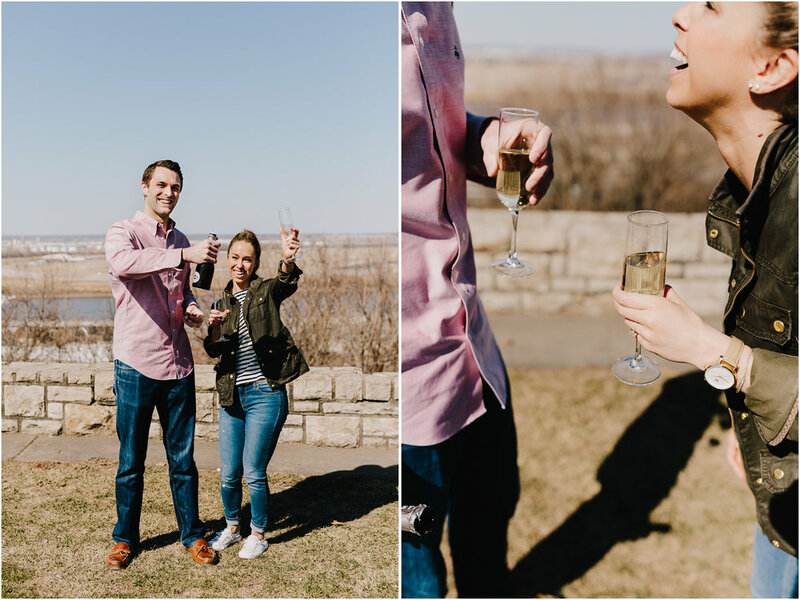 Afterwards, they popped a bottle of bubbly and we took a few photos. Their last stop was at the Beer Hall at Boulevard Brewery where their family and friends were ready to join in the celebration. I am so thankful that you trusted me to document this exciting day! Best wishes to the both of you! YAY!